Outsourcing, the generic moniker for offloading specific business functions to external entities, has gained ground as a fetching enterprise maneuver for various reasons. Though of late, it has endured the inevitable singe of globalization's Domino Effect; it is still marching with resolute steps. There is no doubt that outsourcing is here to stay. But does it mean that outsourcing is impeccable and will always deliver excellent results like clockwork. Well, the answer is a fairly big no. Even the most hard-nosed supporters of outsourcing will admit that it is not an infallible strategy to count on. Some of the crucial opportunities and risks of outsourcing are enumerated below. Perhaps the most basic stimulant that galvanizes companies worldwide to embrace outsourcing is, cost reduction. 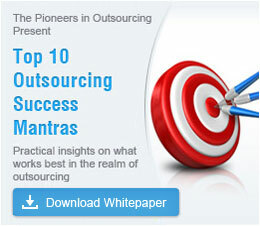 Outsourcing is an effective tool to mitigate the burden of unnecessary costs. Cost minimization objective can be achieved by various means, such as paring down nonessential infrastructure, transforming fixed costs into variable costs, etc. Outsourcing is akin to the "don't put all your eggs in one basket" strategy of portfolio management. 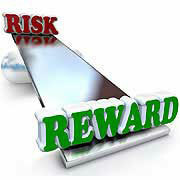 It helps the organizations to share some business risks with the external service provider. Outsourcing provides the organizations the required leeway to contemplate on what it is good at, i.e., its core competencies. In this era of globalization cut-throat competition is pushing the businesses to constantly upgrade themselves. Outsourcing non-critical activities to third-parties gives ample opportunities to understand the mechanics of innovation. When a company outsources a specific business process to a service provider, it is surely getting access to sophisticated technologies and specialized expertise. The third-party vendor will manage the business process effortlessly by dint of its superior domain knowledge. This in turn will inject ingenuity into the process, and execution will happen at a rapid pace. Gauging correctly the demand dynamics is very important for any business to stay afloat in the long-run. Customer preferences have an incessant tendency to change over time. Outsourcing equips organizations with ultra-responsive radars to address this issue and thereby secure a competitive edge over peers. A transparent and all-inclusive contract is needed to sidestep future disagreements. The contract should be designed after envisioning the future requirements of both the outsourcer and the service provider. As and when needed, the services of legal experts should be solicited. If the contract becomes untenable after some point of time, the whole outsourcing arrangement will go awry. Uncontrollable politico-economic issues are a well-known source of headache for the outsourcer as well as the third-party vendor. Political turmoil or instability, animosity between nations, change in employment laws, etc., can take its toll on the outsourcing deal. Similarly macro and micro economic factors like runaway inflation, tweaking of tax laws, increase or decrease in profit repatriation limit, etc., are enough to get cold feet. The general notion is that outsourcing enhances customer satisfaction but on the flip side it might not always be the case. Sloppy handling of cultural and linguistic diversities can tarnish the image of the outsourcer and thereby diminish the customer satisfaction level. Threat to privacy and siphoning of data are major security issues in outsourcing. Adequate monitoring system must be deployed to preclude any form of intellectual property infringement. Moreover the service provider's standard of service delivery may fall drastically due to a concealed clash of interest. Though outsourcing comes with its own set of risks; the benefits of outsourcing far outweigh the challenges. By practicing precautions while finalizing the outsourcing agreement, learning from past failures, and selecting an established and experienced service provider, you can mitigate the risks and make your outsourcing venture profitable. In case you are planning to outsource your services to India, and have any outsourcing query, feel free to contact experts at Outsource2india.